Thanks to a grant from the Whale Tail License Plate fund, Friends of the Napa River and the Napa County RCD took students from the Napa and American Canyon Boys and Girls Clubs out kayaking on the Napa River over the summer to let them learn first hand how our river connects to the ocean. 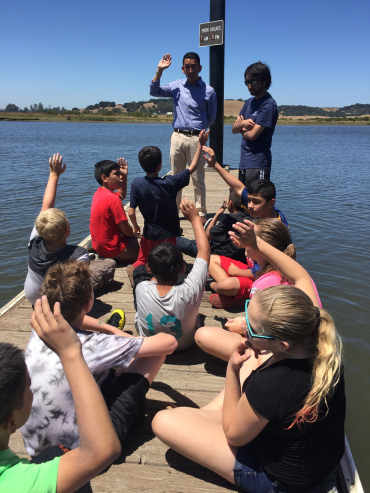 The students felt the pull of the tide and noted the saltiness of the water as the high tide brought water from the San Pablo Bay to mix with the fresh water from the Napa River. They learned about the richness of estuary habitats teeming with life, the birds that feed in the mudflats during low tide, and about the salmon and steelhead trout that navigate from freshwater to saltwater and back again during their life cycle. Students also learned about the importance of keeping trash out of our waterways; and that the tide, runoff, and river’s flow carry trash into the ocean. The paddling trips ended with a clean-up along the river’s edge. Lessons learned on the water were taken back to the Boys and Girls Clubhouses where these kids shared what they had learned with younger club members through peer-to-peer lessons and games. 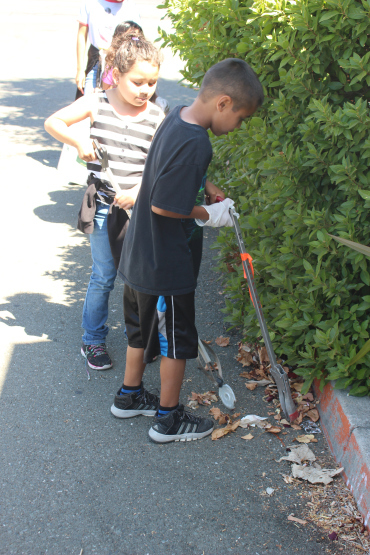 Finally, the paddlers led the younger kids in a clean-up around the Clubhouse neighborhood. Friends hopes to continue and expand this program. Donate to help us make it happen! Newer PostThe Oxbow Bypass is working!